A visit to the vet clinic can be stressful for both pets and their people. For many cats and dogs, a simple wellness exam is actually a series of increasingly scary and uncomfortable manipulations that might result in the animal lashing out at the practitioner. And for pet parents, the stress of watching their best friend go through necessary yet anxiety-inducing exams might deter them from returning to the veterinarian for important health checks. That doesn’t have to be the case. Three revolutionary certifications are changing the way veterinarians interact with their patients, and in turn, are changing the way pets and their people view their time in the vet clinic. Practitioners report less stress on both sides of the exam table, which leads to better diagnostics and happier, healthier patients. Developed by Dr. Marty Becker in 2016, the mission of Fear Free Certification is to prevent and alleviate fear, anxiety and stress in pets by inspiring and educating the people who care for them. 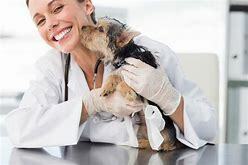 The certification process includes a series of courses, both online and in person, that is available to veterinary professionals as well as all individuals employed at a vet clinic, from veterinarians and nurses to customer service representatives and practice managers. According to Dr. Joanne Loeffler, DVM and Fear Free Certified Practitioner at the Telford Veterinary Hospital in Telford, Pennsylvania, the primary difference is the way the practitioner interacts with the patient. What Is the Cat Friendly Practice Program? Established by the American Association of Feline Practitioners (AAFP) and the International Society for Feline Medicine (ISFM), the Cat Friendly Practice program (CFP) is a global initiative designed to elevate care for cats by reducing the stress for the cat, the caregiver and the entire veterinary team. According to Dr. Elizabeth J. Colleran, DVM, MS, Diplomate Feline Specialty Practice and Cat Friendly Practice Task Force Chair, CFP is a self-paced online program that walks veterinary practices and professionals through all the tasks necessary to reduce the fear and stress of a cat’s visit to the vet clinic. Cats can also show redirection anger, which means that they will lash out at anyone in front of them at the peak moment of stress. Many owners will try to calm their cats during stressful times, putting themselves at risk of scratching, or even worse, a cat bite. Cat Friendly Practice veterinarians note that the designation can decrease anxiety for everyone in the exam room. In a 2017 survey, CFP veterinarians said that their patients are less stressed; their clients are happier about the visit experience; and their clients noticed that how much these specialized vets care about cats. “Understanding how cats experience the world gives CFPs the tools to make the changes essential to make health care easy,” Dr. Loeffler says. Dr. Foote notes a connection between the traditional use of force during an exam and the animal’s stress levels. “The most common misstep by veterinary clinics not using Low Stress is adding more people for restraint to get the job done, like vaccinations, nails or blood draw, and not removing or reducing the triggers that are increasing the stress in the animal.” She adds that recognizing when the animal has had enough, and either using medication to assist the exam process or splitting up care, is also important for the health of the animal and safety of the practitioner. How Does Low Stress Handling Aid Veterinarians and Pets? Low Stress Handling techniques teach veterinarians to better understand the emotional states of the animals they’re examining, which can reduce the animal’s reactivity, and in turn reduce injury risk to the practitioner. Dr. Foote states that clients are more likely to come in when care is needed rather than trying to avoid the stress of care on the pet. Dr. Foote says that creating a handling plan based on the animal’s needs and combining the efforts of both the veterinarian and pet parent in reducing the patient’s stress is the most effective approach. Much like with dogs, the process of traveling to the veterinarian often sets the stage for intensifying anxiety. Dr. Loeffler says that one of the most powerful ways cat parents can reduce this stress buildup is to teach their cats to love their cat carriers. Leave the carrier out and place bedding and cat toys inside well in advance of a scheduled visit, so that when the time comes to head to the cat veterinarian, the cat will already have a positive association with the carrier. Dr. Loeffler believes that the first step to a happier vet visit for dogs is a stress-free car ride, as well as teaching your dog simple placement cues that are helpful during the exam. Dr. Loeffler says that teaching a dog to stand for an exam and blood draw can go a long way in making the exam more comfortable for everybody involved. Bringing a hungry pet and high-value dog treats can also help, as well as establishing a comfort level with muzzling beforehand, since veterinarians often need to examine areas that may be painful, which puts them at risk for biting. You can also talk to your veterinarian about using anxiety management products for dogs or cats, like holistic calming treats or sprays that can help to diffuse stress. Diane recommends rescue remedy the premade Bach Flower Essence. Give 5-6 drops to your dog or cat directly into their mouth or on food 10 minutes before leaving your house. You can re-dose with no issues and there are no interactions with any meds your pet may be on!